We all know Apple takes security very strictly and regularly enforces updated measures to ensure that your data is secure. But you can’t deny the fact that no device is secure from zero-day attacks. With the rise of attacks, one cannot rely on security measures offered by the manufacturer. To stay protected from modern day threats one needs to be extra cautious and should keep a check on all the security options available. 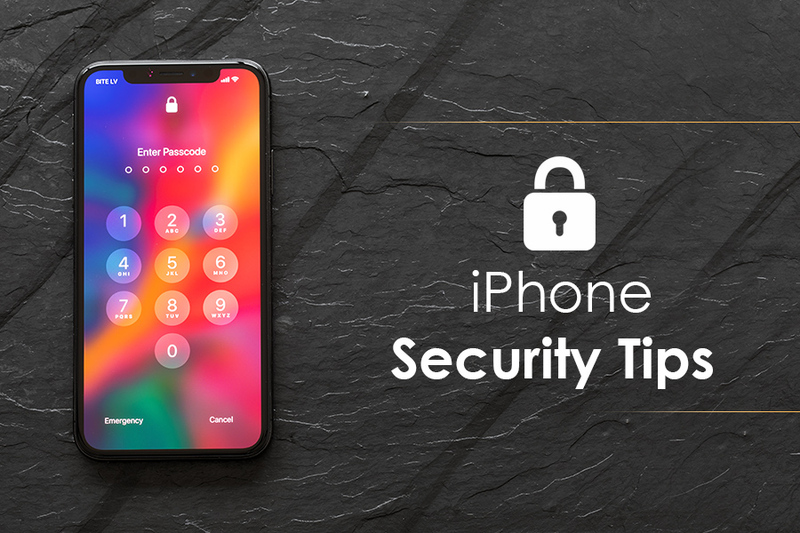 In this blog, we have listed important things an iPhone user should keep in mind to protect iPhone data from being hacked. These days no website is secure, even Apple’s site was compromised. Therefore, the best way to stay protected is to review passwords of all Apple ID accounts, in use. You should change them to something that is complicated and hard to guess. The first line of defense is to never keep passwords like your date of birth or any continuous numbers as they are easy to guess. If you are using any such passcodes you should change them immediately. Now, open iCloud.com on your PC/Mac and click on Find My iPhone. Here check if you see your device and if it is trackable or not. Note: If it isn’t then you disable the settings and enable it again. Now add the device and follow same steps to check if device is trackable or not. Many users don’t purchase things from iTunes store but they have the details stored in there. This is risky because if any fine day bad guys have your Apple ID and Password eventually they will have your credit card details. Here change it to None. This will help you to remove all the card related information. Under restrictions setup content restrictions for apps like Safari, Mail etc. This will protect you from prying eyes and will pause download of stuff without your permission. The most basic step that one should take to secure data. You can do this by enabling TouchID, Passcode or Face Recognition. Enable the setting to lock your iPhone if idle for more than 2 minutes. Avoid using 4-digit numeric code. Use custom alphanumeric code. Activate Erase data, that means if there are 10 unsuccessful attempts to unlock the phone all the data will be deleted. It is an extra layer of security designed by Apple to secure your Apple ID. It ensures that only you have access to your account even if your password is shared with someone else. To know more about it visit here. If more information is displayed on your lock screen it is risky. Therefore, it should be restricted to minimum and the first step towards it should be to remove Home Control from lock screen. Avoid previewing messages and email apps. If location service is enabled apps can track you. Therefore, you should disable it. 11. Last but not the least Keep your iPhone updated and avoid opening unknown links. These small tips will help you stay protected from being hacked or attacked by bad guys. You may think that you know all this but once you go to your phone settings, you will be shocked to see how you are being tracked. All these settings make you vulnerable to be attacked. Therefore, it is always a good habit to keep a check on settings and not to use default settings of the phone.